Village List researched, compiled and published 2008 at DVHH.org by Jody McKim. To search this page, click "Edit" in your web browser, then click "Find (on this page)"
The Batschka [German] (Backa: Serbo-Croatian, Bácska: Hungarian) is now divided between Hungary and Yugoslavia (the western part of Vojvodina in Serbia), boundaries being: north of Császártöltés, Hungary, East of the Theiß rivers, south and west of the Danube River and centers to Novi-Sad, Zombor. 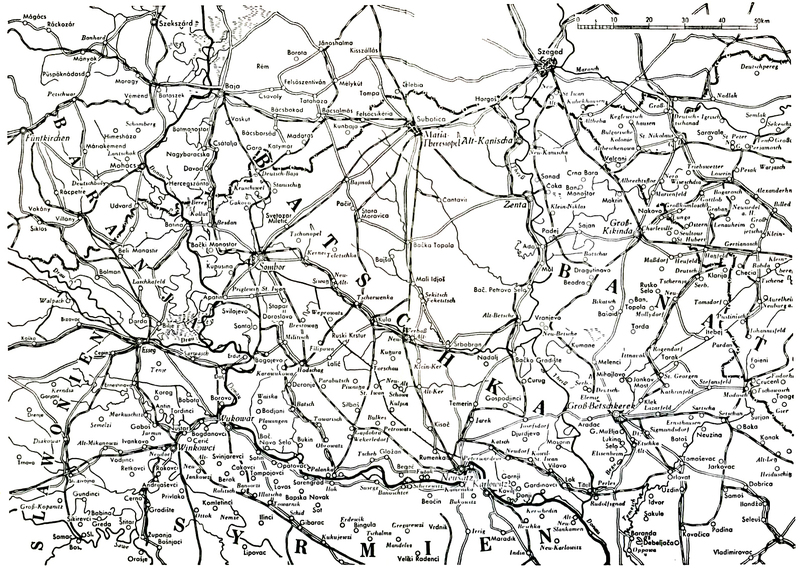 Between the rivers Danube and Theiß with the cities Abthausen / Apatin, Neusatz / Novi Sad, and Ulmenau / Batsch-Brestowatz. A town and municipality in Serbia. 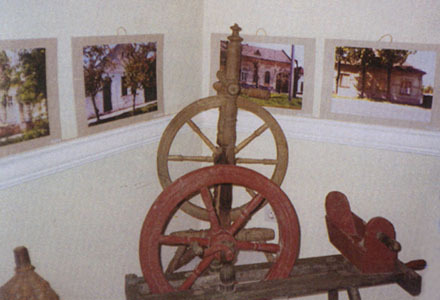 It is situated near the river Tisa in Vojvodina province. 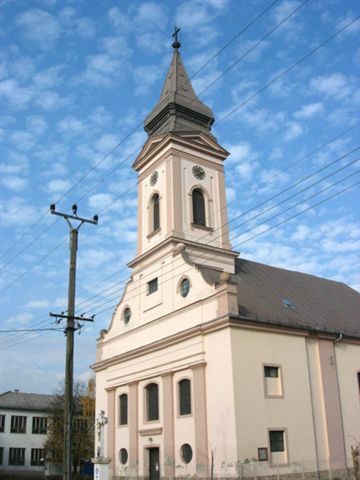 Although the town is geographically located in Bačka, it is part of the North Banat District. 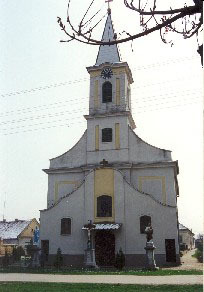 Situated in the Vrbas municipality, in the South Bačka District, Vojvodina province. Auf Diesem Plac war von 1827. Bis 1944. Jahre Friedhop der Deutschen Evangelischen A.B. 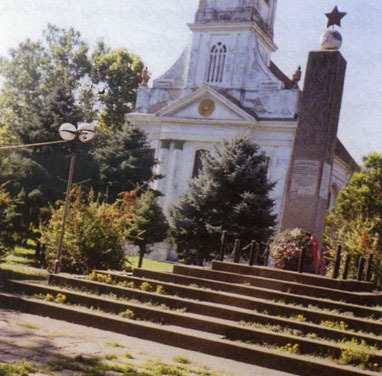 Kirchengemeinde in Zmajevo. I took these photos in September 2005. 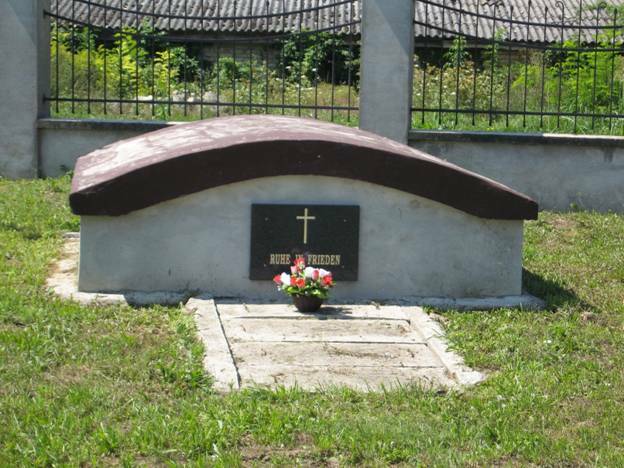 They show the entrance of the former German cemetery in Altker (today Zmajevo) in the Batschka. The text is: At this place was the German Evangelical cemetery from 1827 until 1944. I don't know exactly when it was erected but it is the most dignified German cemetery in the Batschka I have ever seen. It is situated in a nature reserved area and a man watches everyone who visits the place. When we were there he asked us where we were from. And when I said that some of my ancestors are in that cemetery he got tears in the eyes and showed us all around. DVHH Apatin Coordinators: Beth Tolfree & Boris Masic (Correspond with Boris in German only please). Familienbuch Apatin in der Batschka 1750-1825. Jakob Schuy, AKdFF, Kaiserlautern, Germany. 2006. 901pp. Batsch. Stefan Blaskowitz. Pannonia-Verlag, Stuttgart, Germany. 1965. 115 Pgs. 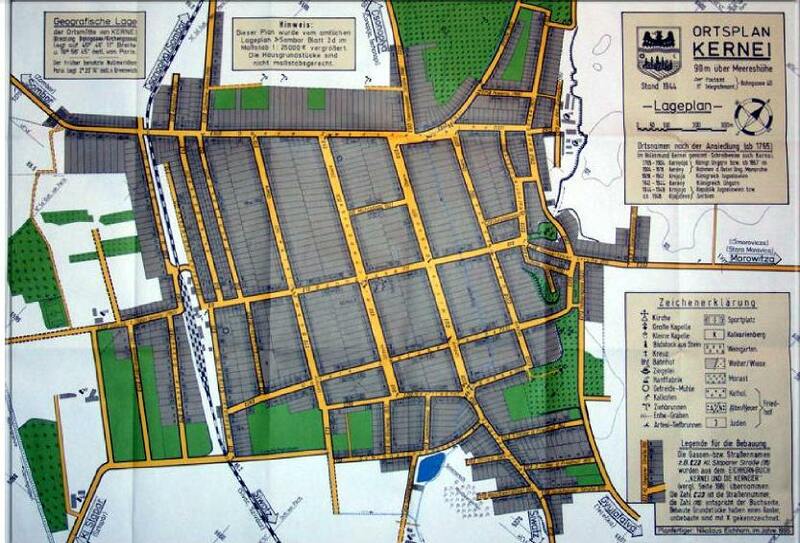 History of the town of Batsch. From Batsch to Trenton - The Trip to America in 1913 by the Lorenz Helleis Family. Dennis J. Bauer. Levittown, PA (Self published). 2004. 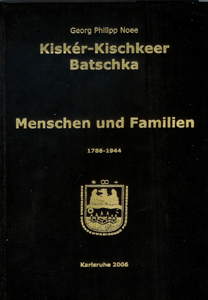 Familienbuch Batsch in der Batschka 1830-1943. Heimatortsgemeinschaft Batsch, Klaus Kempf, Falkenstrasse 5, 85521 Ottobrunn, Germany. 2005. 1458 pp. Bácsalmás is a small town in southern Hungary in the region of Bácska (Bács-Kiskun County) close to the border with the Vojvodina region of Serbia. 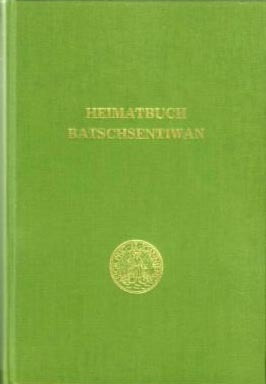 Anton Hippich: Ortssippenbuch der Deutschen in Batschalmasch (Bácsalmás), Volume I-IV, Backnang 1996, 1999, reference: Anton Hippich, Buchenhain 62, 71364 Winnenden. Bácsalmás Batschalmasch Almasch Heimerskirchen Heimatbuch Donauschwaben Batschka, 1990. Tafferner, Anton [Red.] und Heimatausschuss [Hrsg]: Bacsalmas (Batschalmasch): eine deutsche Marktgemeinde in Ungarn. München: Heimatausschuss, 1965. DVHH Lookups Guide/(Family Connections) : Alice Spande - Searching family connections using Ortssippenbucher and Familienbucher for...Abthausen/Apatin, Bacsalmas, Batschsentivan, Bukin, Csavoly, Filipowa, Gakowa, Gara, Hodschag, Katschmar/Katymar, Kruschiwl, Kernei, Kolut, Nemesnadudvar, Neudorf (Novo Selo), Parabutsch, Stanischitsch, Tschatali (Csatalja), Tscheb, Tschonopel, Weprowatz, and other miscellaneous villages outside the Batschka. Ortssippenbuch Batschsentiwan 1763-1827. Jakob Schuy & Paul Scherer. Passavia Druckerei GmbH, 8390 Passau, Germany. 1992. Pgs. 565. 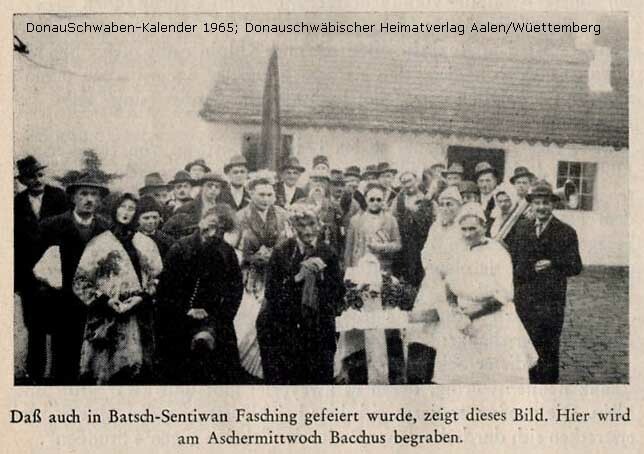 Daß auch in Batsch-Sentiwan Fasching gefeiert wurde, zeigt diese Bild. Hier wird am Aschermittwoch Bacchus begraben. Szilvás / Szilvas (Other) I've not found a substantiating reference of this variant being associated with Brestowatz in Batschka. Note: there is a Szilvás in Swabian Turkey, Baranya County. 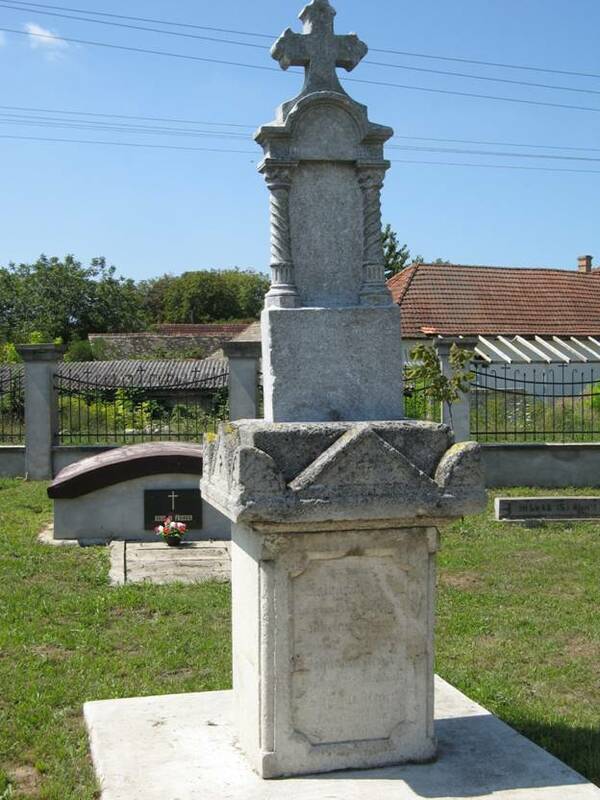 Genealogical Records at the FHL are recorded in the Village name: Bresztovacz. 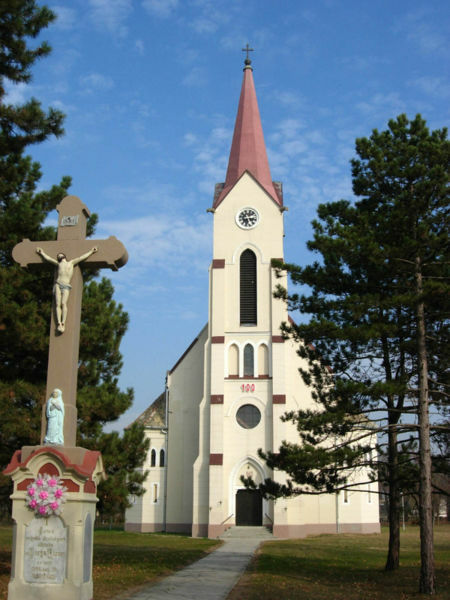 Roman Catholic Church records for Bácsbresztovác also called Szilberek, Hungary, now Backi Brestovac, Yugoslavia: Birth, Marriage and Death for years 1826-1895; microfilm no. : 605892; 639099; 639100; 639101; 639102. The 1828 Census: FHL microfilm no. 622963. Affolder, Anton. Brestowatz in der Batschka. 1971, Freilassing, Pannonia Verlag. 236 pages. Schmidt, Paul, Matthias Leinweber. Ortssippenbuch Brestowatz in der Batschka (Backi Brestovac, Szilberek, Ulmenau). 1988, Stein bei Pforzheim, Heimatausschuß Batsch-Brestowatz . 433 pages. Werni, Stefan, Paul Schmidt. Ortssippenbuch Brestowatz in der Batschka. (Backi Brestovac, Szilberek, Ulmenau) 1986, Frankfurt, Heimatausschuß Batsch-Brestowatz. 664 pages (2 volumes). Schmidt, Paul. Licht und Schatten. (Backi Brestovac, Silberek, Ulmeneau) 2006, 278 pages. 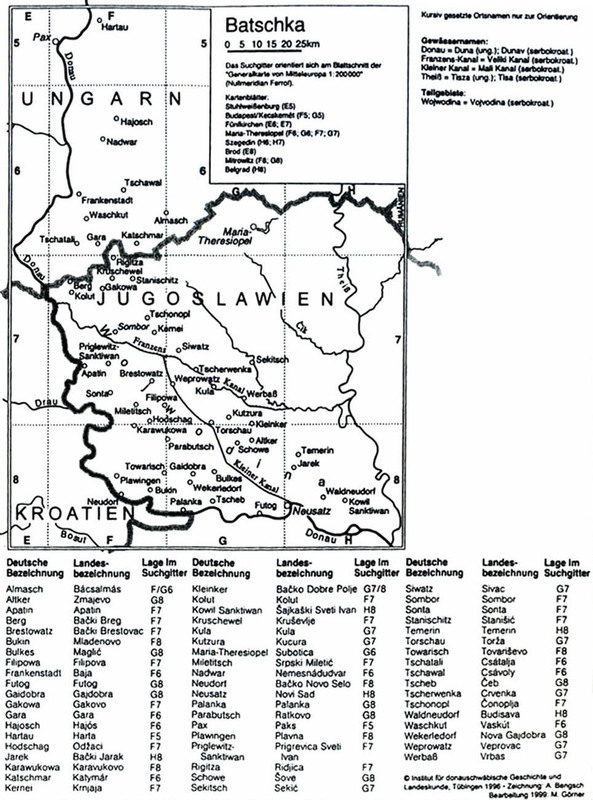 Private Homepage: Mary Ann Fischer's "The People of Backi Brestovac" & Rootsweb SEARCH PAGE for over 30,000 individuals who lived in Brestowatz, Filipowa, Miletitsch, Hodschag, Weprowatz, Parabutsch & Sentiwan. 34771 entries as of Apr 30, 2013. Bildband Bukin, 1749-1945. Ein deutsches Dorf in der Batschka. Andreas Pfuhl. Perlinger Druck GmbH, 93437 Furth im Wald, Germany. 2002. 550 Pgs. Ortssippenbuch Bukin in der Batschka 1749-1945. Band 1 & 2. Jakob Schuy. WB-Druck GmbH & Co., Buchproduktions KG, Rieden/Allgau, Germany. 1999. 1454 Pgs. A village in the municipality of Žabalj, in the South Bačka District of Serbia. 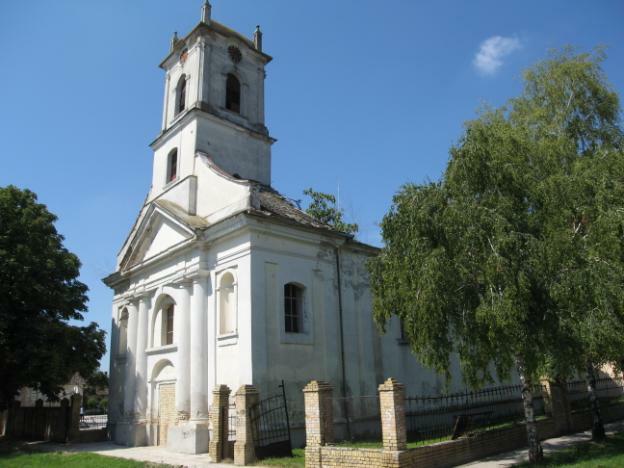 It is situated in the Autonomous Province of Vojvodina. Csurog: Till the Last Hungarian - "In the fall of 1941, Serbian partisans surprised, ambushed, disarmed and undressed the Hungarian police patrol from Csurog in a corn field. The two bound men were impaled on a nearby farm." Located in Bács-Kiskun county, Hungary. South of Baja, SW of Gara. DVHH Lookups Guide: Reiner P. Pister - Familienbuch der Deutschen von Feketitsch in der Batschka by Brigitte & Gunther Wolf. Filipowa Bild einer donaschwäbischen Gemeide. Paul Mesli, Franz Schreiber & Georg Wildmann. Verlag der Donauschwäbischen Kulturstiftung, Wien, Austria. 1992. 303 pp. Ortssippenbuch Filipowa in der Batschka. Band 1. Johann Pertschi, Junkers Str. 78, D-7314, Wernau, Germany. 1989. Pgs.798. Ortssippenbuch Filipowa in der Batschka. Band 2. Johann Pertschi, Junkers Str. 78, D-3249, Wernau, Germany. 1994. Pgs. 523. Also 2005 CD-Rom version with updates. Ortssippenbuch Gakowa, Batschka, 1763-1895, Teil I. Johann Schnaterbeck. AKdFF, Goldmuhles Str.30, Sindelfingen, Germany. 1994. Pgs. 1129. Ortssippenbuch Gakowa, Batschka, 1896-1943, Teil II. Michael Hutfluss. AKdFF, Goldmuhles Str.30, Sindelfingen, Germany. 2002. Pgs. 639. Located in Bács-Kiskun county, near Baja, in Hungary. Die Deutschen Familien von Gara in der Batschka 1737-1945. Josef Gatti & Wendelin Peller. AkdFf, Sindelfingen, Germany. 1997. Pgs. 800. Sunday, January 21ST, 1945 by John Knodel. The story is being transcribed from Hungarian to German from a daybook that John Knodel kept during his 33 month, 1000 day, imprisonment in Russia (Woroschilofka coal mine). Translation by Granddaughter, Gerti Soderquist. Ortssippenbuch Hodschag 1756-1945. Band 1 & 2. Martin Tuffner & Jakob Schuy. Ertl Druck, Wien, Austria. 1995. Pgs. 1636. Ortssippenbuch Hodschag in der Batschka. Josef Harjung & Anton Reiman. Frankfurt am Main, Germany. 1976. 514 Pgs. Geschichte der letzten josefinischen Siedlung, Druck der "Verbaßer Buchdruckerei" des Heinrich Bleek, Novi Vrbas 1937. and ... "Printed by the "Verbaßer Printing Office"(History of the last Josephinian Settlement, Printed by the "Verbaßer Printing Office" of Heinrich Bleek, Neu-Werbass). Lookups in sections: Familiengeschichte/Family History; Unsiedlerfamilien/Re-settler families; or evacuee families; Nachzuglerfamilien/Late re-settler families; or late evacuee families. A town and municipality in South Bačka District of Vojvodina, Serbia. Located in southeastern part of Bačka, known as Šajkaška. DVHH Lookups Guide: Volunteer! - Familenbuch Karawukowo, Batschka, 1767-1944, by Josef Harjung, revised by Michael Hellmann, published 1996 by Michael Hellmann. DVHH Lookups Guide: Eileen Wilson - Ortsippenbuch der ehemals deutschen Bewohner von Katschmar-Katymar in der Nord-Batschka (1748-1945) written by Josef Pahl. DVHH Lookups Guide: Volunteer! Familienbuch Kernei in der Batschka, Vols. 1 & 2. Johann Schmidt. Poderborn, Germany. 1995. 1629pp. Kruschevlje – Concentration Camp for German-Yugoslavs After World War II. by Therese Herscha (Schmidt) & Ricardo Quinonez. 2007. 114 pp. DVHH Lookups Guide: Gabriele Steger - Kruschiwl (Krusevlje, etc): Familienbuch Kruschiwl, Batschka, 1826(1763)-1943 by Gertrud and Johann Schnaterbeck. Kruschewlje / Kruševlje is a small settlement (hamlet) in Serbia. 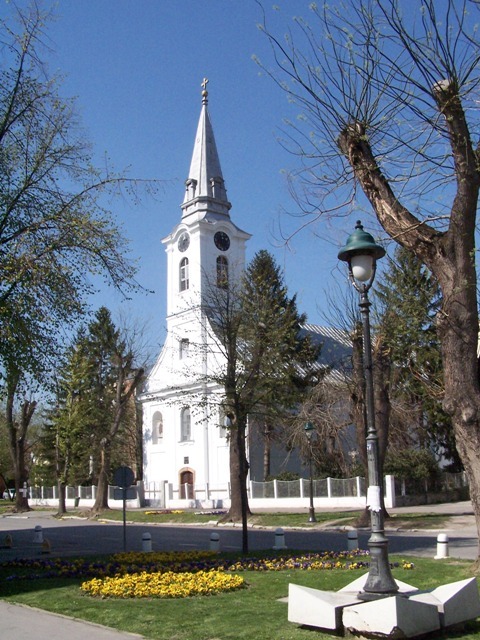 It is situated in the Sombor municipality, West Bačka District, Vojvodina province. It is mostly populated by Serbs. In Serbian, the village is known as Kruševlje, in German as Kruschiwel or Kruschiwl, and in Hungarian as Körtés or Bácskörtés. There were also some other, less used names such as Kruschewlje, Birndorf (German translation of its original Hungarian name), Krušovje, Körtvélyes, etc. Officially, Kruševlje is not classified as a separate settlement, but as part of the village of Gakovo. 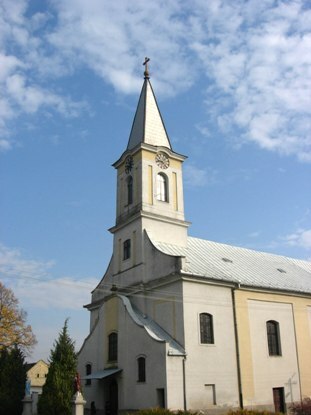 It is located near the border with Hungary between Riđica, Stanišić, Gakovo and Rastina. 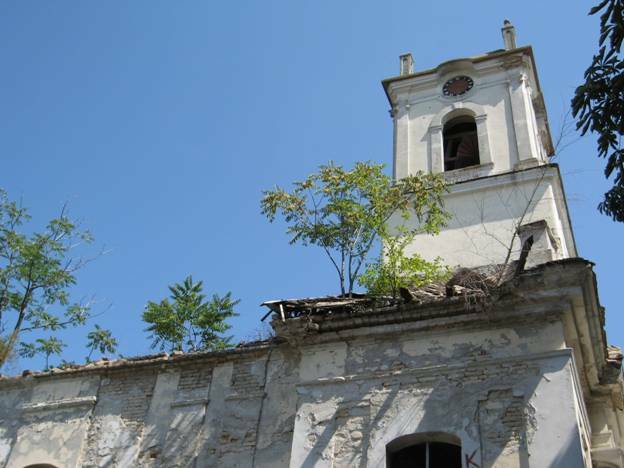 It is about 2 miles northeast of the neighboring village of Gakovo and about 2,5 miles west of Stanišić. About 5 miles to the north is the village Riđica and the nearest town is Sombor, about 12 miles to the South. The whole area surrounding Kruševlje is a flat ground, with many swampy meadows, fens, bad-fruitful salt-spring fields. The villagers had some fruitful gardens, corn fields, hemp and wheat fields, vineyards a few miles to the North. The village is about 305 feet (93 meters) above the sea level. There are no hills, woods or rivers. 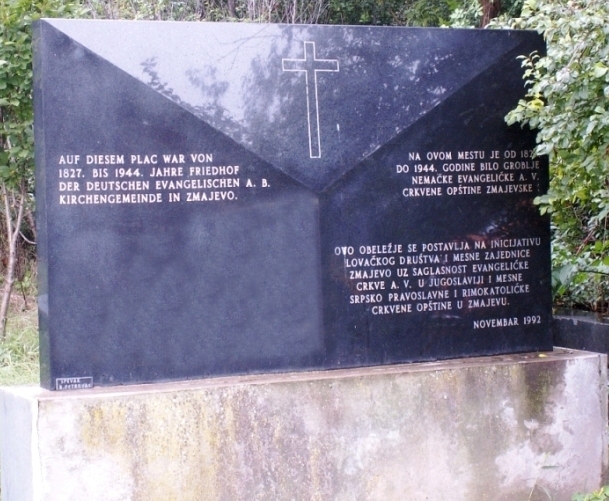 On October 20, 1944 the partisans came from Stanišić and entered into Kruševlje. The next day, October 21 arrests started. Almost all remaining men were taken prisoners. The whole village became soon a camp and under constant watch guards. The houses were plundered and sacked, all food and live stock was taken away. The entire German population was proclaimed collaborator of the Third Reich and deprived from all their civilian rights and property. 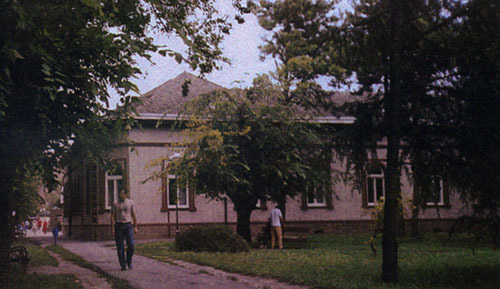 Some men and woman were taken prisoners to the labour-camp in Sombor. Others were sent to labour in the fields around Kruševlje. Those who refused to work all day, wanted to go or flee, were beaten or starved to death. Near the village church, two civilians were simply shot, namely Anna Depre, aged 44 and Karl Frantzem, aged 66, just because they wanted to return home. Many old people, who couldn't work, were left to die from hunger and fear. Some of them were: Emilia Bauer, aged 96; Dominik Depre, aged 93; Margareta Matz, aged 89; Franz Depre, aged 85; Melchior Pentz, aged 85; Salomea Wolf, aged 84; Mathias Schauer, aged 82; Rosalia Wolf, aged 81; Margareta Schauer, aged 81; Christine Pentz, aged 82; Franz Jung, aged 81; Margareta Schnatterbeck, aged 79; Melchior Brandäcker, aged 78; Barbara Keil, aged 76; Elisabeth Bergmann, aged 76; Georg Zettel, aged 76; Karl Bihn, aged 75; Heinrich Steinfeld, aged 75; Rosalia Weber, aged 75, etc. On Christmas Day 1944, about 60 young men and women were taken to Siberia to work in Russian mines. The hard work during the winter was bearable, but more difficulties came in the spring of 1945. Ortsfamilienbuch Kolut in der Batschka 1760-1895. Johannes & Irmgard Engläner. Waiblingen-Neustadt, Germany. 2000. Pgs. 966. DVHH Lookups Guide: Jeff Rau - Familienbuch (Kutzura - Ein Dorf in der Batschka by Christine Kaltenecker, published in 2008). DVHH Lookups Guide: Volunteer! - Jakob Schuy, Ortssippenbuch Miletitsch in der Batschka, 1987. Ortssippenbuch Miletitsch. Jakob Schuy. AkdFF, Schriesheim, Germany. 1987. Pgs.1006. Order: Jakob Schuy, Breslauer Str. 12, 67659 Kaiserslautern, Germany. Heimatbuch Gajdobra-Neugajdobra. Josef Flock. Donauschwaebischer Heimatverlag Aalen, Wuerttemberg, Germany. 1958. 450pp. 8 Aug. 1997. Ortssippenbuch Gajdobra - Neugajdobra in der Batschka. Anton Reiman. Heim-Druck, 6100 Darmstadt, Germany. 1976. 653 Pgs. Ortssippenbuch Gajdobra-Neugajdobra in der Batschka, Band 2. Anton Reimann & Josef Reimann. Heim Druck, 6100 Darmstadt-Eberstadt, Germany. 1993. Pgs. 742. Familienbuch Neudorf in der Batschka. Paul Scherer. Bosocolo & Koenigshofer, D-76189 Karlsruhe, Germany. 1995. 1085pp. DVHH Lookups Guide: Ursula Wacht - Heimatbuch der Gemeinde Schowe, by Christian Ludwig Brücker, Winnenden 1961. 150 Jahre Backa Palanka. Nikolaus Hepp. Druck von Heinrich Kleek, Novi Nrbas. 1930. 171pp. Erzählungen aus dem vorigen Jahrhundert. Nikolaus Hepp. Backa Palanka. 1935. Ortssippenbuch Palanka - Bands 1-3. Anton Reimann. Zentralsstelle fur Perfonen, Frankfurt am Main, Germany. 1981. Pgs. 5000. Palanka an Der Donau - Band I 1764-1944. Heimatortsausschuss Palanka (HOA), Ulm, Germany. 1986. Pgs. 560. Palanka an Der Donau - Band II 1764-1944. Heimatortsausschuss Palanka (HOA), Ulm, Germany. 1992. Pgs. 650. 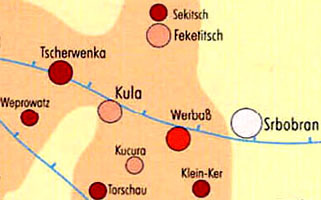 Palankaer in Aller Welt 1755-1961. Palankaer Kirchweih in Trenton, NJ. 1961. 26 pp. DVHH Lookups Guide: Volunteer! - Parabutsch Familienbuch der kath. Pfarrgemeinde St. Nepomuk in Parabutsch in der Batschka, by Josef Fridrich, pub. 2001 - it covers from the 1770s to 1944 (and some info goes to the end of 2000). It comes in two volumes: Band I (A-K) & Band II (L-Z). Other names for Parabutsch are: Parabuty, Paripás, Parabuc (accent on the c), Dubrava, Gutacker, Ratkovo. Familienbuch Parabutsch in der Batschka. Vols. 1&2. Josef Fridrich. AkdFF, Bad Schoenborn, Germany. 2001. 1308 pp. Lookups Guide: Reiner P. Pister - Familienbuch Sekitsch in der Batschka 1786-1944, Vol 1&2 by Brigitte & Gunther Wolf. Ortssippenbuch Sekitsch by Franz Glockner. Sekitsch Erlebte Heimat by Philipp Sandles. Ortssippenbuch Stanischitsch, Batschka 1788-1895. Michael Hutfluss. AkdFF, Sindelflingen, Germany. 1986. Pgs. 733. Ortssippenbuch Stanischitsch, Batschka 1896-1938. Michael Hutfluss. AkdFF, Sindelflingen, Germany. Pgs. 751+. Ortssippenbuch Tschatali-Csatalja 1737-1946. Josef Hefner. Zentralstelle fur Personen und Familiengeschichte, 61381 Friedrichsdorf, Germany. 1995. Pgs. 454. Also on CD-Rom. Familienbuch Tscheb an der Donau. Josef Seitz & Stefan Ferger. AkdFF, Karlsruhe, Germany. 2002. 748 pp. 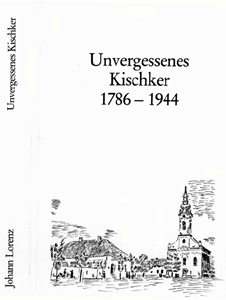 Ortssippenbuch Tscherwenka 1785-1944. Angela Hefner. Karlsruhe, Germany. 2002. CD-Rom. Ortssippenbuch Tschonopel 1762-1945. Johann Feith, Johann Kainrad, & Johann Kemmer. Rödermark, Germany. 2003. CD-Rom. 1908 in Waldneudorf/Batschka. Wurtz, Johannes: Die Dingelstocks. der Weg einer Sippe. Roman. ca. 1968. 222 S. mit Abb. (11:18) Kart. 1908 in Waldneudorf/Batschka. Wurtz, Johannes: Erwanderte Lieder und Reime. ca. 1980. 142 S. mit Noten und Abb. (14:21) Kart. In 2006 the Croatian language was declared the official language of Sonta. Sokci Croats constitute a majority of the Sonta population. Sokci or Bunjevci Croats represent 2/3 of the Croatians living in Vojvodina. Familienbuch Weprowatz in der Batschka, Vols. 1 & 2. Paul Scherer. AkdFF, Karlsruhe, Germany. 1998. 2426 pp. Kühbauch, Friedrich (Red. ): Festschrift Dr. Adam Krämer zum 80. Geburtstag. 1986. 374 S.+Abb. a. Tfln. (16:24) Kart. *1906 in Weprowatz: mit handschriftl. Namenszug. Churches: Greek Orthodox/Bács diocese, Evangelical Lutheran/Banya diocese, Christ Evangelical Methodist Church, and The Presbyterian Church. The Presbyterian Church, where many Germans worshipped, is now very neglected. Contributed by Elfriede Drumm. 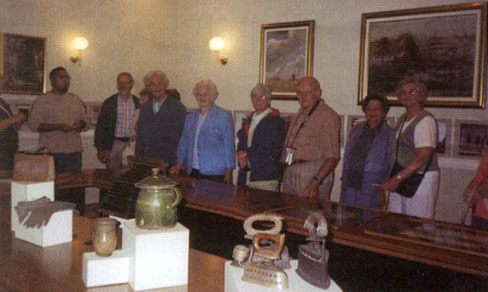 Swabian Museum - Elfriede Drumm visited the Danube Swabian museum located in the Werbass/Vrbas city hall. The city hall once belonged to the Schuch family and was also the village pharmacy. Elfriede Drumm was born in Werbass. Her father was Rev. 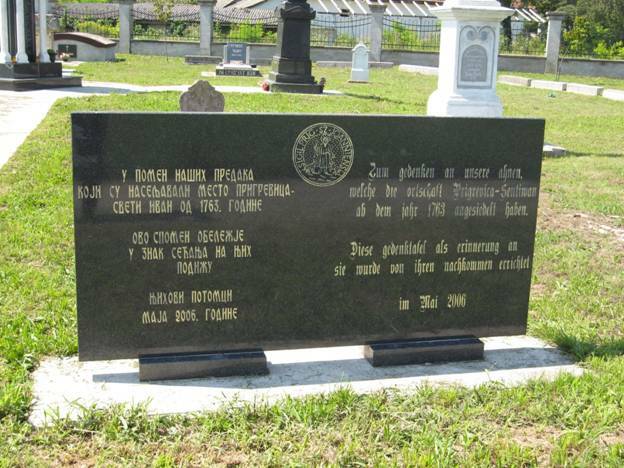 Adolf Drumm, Pastor of the Christ Methodist Church of Novi-Vrbas for 7 years from 1937-1944. It was a German speaking congregation. In 1952 Elfriede and her sister immigrated to the US and lived on Long Island. 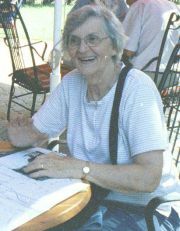 Elfriede has returned to her homeland village of Werbass 2 times, in 2003 and again in 2005. 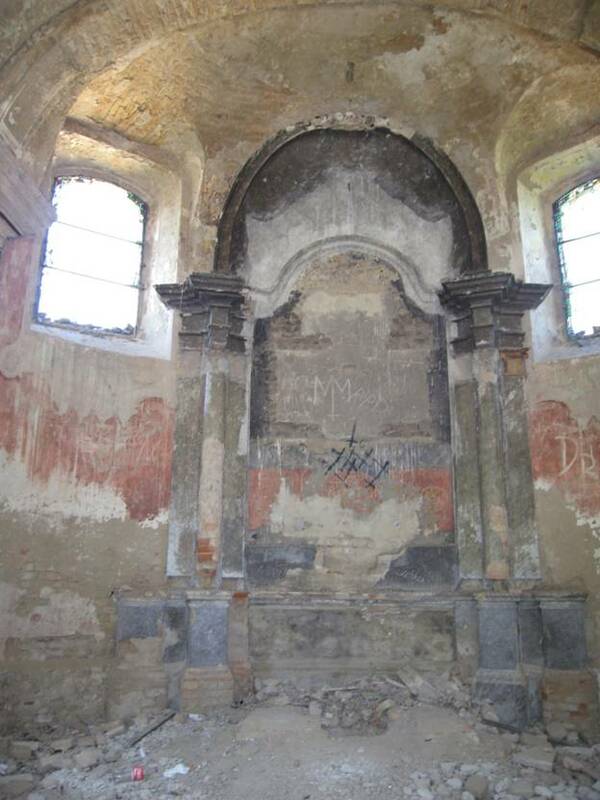 Read Elfreide's "Mission Trip to Vrbas, Serbia. Aug, 2003." 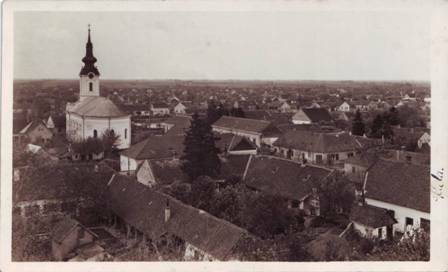 A town and municipality in the West Bačka District of Vojvodina, Serbia. Kula - The mass executions in Kula were hardly any less terrifying. In the fall of 1944 over two hundred Danube Swabians perished and the methods were even more brutal than in Werbass. Whole families were beaten to death. That was the case with Dr. Saur and his wife and two small children. Here again it was the intellectuals and leaders of the community who were on the liquidation lists. Towards the end of 1945 this former silk factory was established as a central camp for the Germans of the Middle-Batschka. It also had jurisdiction over the relatively large work camps at Tschervenka, Kula and Weprowatz. The conditions there were worse than in a prison. Since there was no more work to be done in the fields as of December 1946, the camp commander made the inmates stand in formation from 5 to 11 o'clock during the bitter cold winter mornings. Then he let them sit till evening in the court yard. The camp was most likely dissolved the beginning of 1948. City and municipality located in northwest part of Serbian autonomous province of Vojvodina. Population of 51,471 (as of 2002), while the Sombor municipality has 97,263 inhabitants. It is the administrative center of the West Bačka District of Serbia. Original DVHH Village searchable PHP Database initiated by Mike O'Brien, 2003. Additional Village(s) data submitted to DVHH.org by Researchers and Volunteers. Regenyi, Isabella & Scherer, Anton "Donauschwabisches Ortsnamenbuch." (name and location of towns). Published by the AkdFF, Darmstadt, Germany. 1987. Dennis J. Bauer's Genealogical Banat Book Collection. For corrections & additions to our Batschka Village List, provide all known name variants to Jody McKim. vers le Banat et la Batschka au 18ème siècle"
A link between Lorraine & the Banat & Batschka. List families genealogies in the style of a "Familienbuch". Easy to understand, without a knowledge of French. if you do not receive a response from a Lookups Guide in a timely manner.